We are Nashville Event Draping. We’ve been serving the Nashville area since 1995. We provide comprehensive sound, event lighting, production, draping and audiovisual services to Nashville and the surrounding region. Our rental inventory includes everything from presentation equipment, microphones and sound systems to concert and decorative lighting. At Nashville Event Draping, we believe that truly outstanding draping service is all about flexibility – being able to adapt to your event’s needs and challenges from one moment to the next. 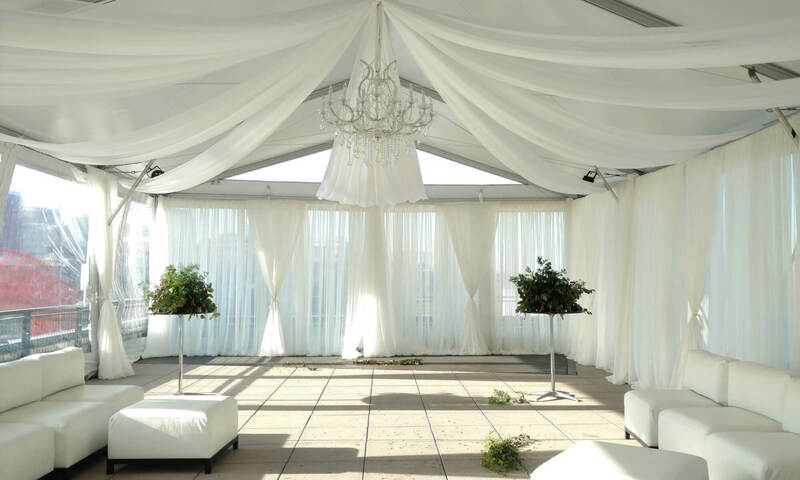 After all, no two situations calling for draping, professional lighting or decorative help are ever the same. Flexibility means having not just technical smarts and planning savvy, but also the personnel depth to work with your time-frame and remain proactive when the game changes. It means not just having a “can-do” attitude, but being a “can-do” business. For two decades, Nashville Event Draping has made it our mission to be the most “can-do” draping group in the region. Our team members come from diverse backgrounds, but we’re united by a drive to figure out what the extra mile looks like in your unique case, and how to go that distance every time. This devotion has made us the number one option for some of the most renowned event spaces in the area, as well as thousands of private clients and even the City of Nashville itself. Our reputation as the Nashville area’s premier audiovisual company rests on the shoulders of the friendliest and most competent managers and technicians in the field.